A day before Donald Trump approved new limits on transgender troops, the U.S. Justice Department said it would not identify generals and military experts the president consulted before his first ban on transgender people in the military. DOJ lawyers told a federal judge in Seattle that the government will not disclose “information about the president’s deliberations,” the San Francisco Chronicle reports. The Seattle judge is among four justci who have enjoined Trump’s former ban, report Politico and the Associated Press. The Justice Department said in a statement late Friday that it is asking the courts to lift all preliminary injunctions in cases challenging the original ban. Trump’s new executive order, issued late Friday, adopts a recommendation by Defense Secretary Jim Mattis to generally ban people with a history or diagnosis of gender dysphoria who require medical treatment to change their gender. Also banned from the military are transgender persons who have undergone gender transition. 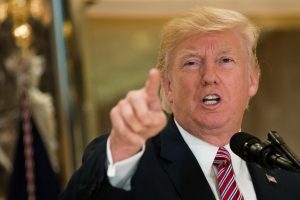 The Justice Department said in the Seattle filing it does not intend to rely on information about the president’s deliberative process in defending the ban, “including potentially privileged information about presidential deliberations.” The legal document was filed after U.S. District Judge Marsha Pechman ordered government lawyers to identify the experts Trump had consulted. The new policy announced hasn’t taken effect yet, the New York Times reports. The next step is to publish the policy in the Federal Register. Other exceptions outlined by Mattis allow service by those who were diagnosed with gender dysphoria after entering the service but who don’t require a gender change, and by current service members diagnosed with gender dysphoria in the period between the Obama administration policy allowing their service and the date the latest policy takes effect. People in the latter category can continue to serve in their preferred gender and may receive medically necessary treatment. 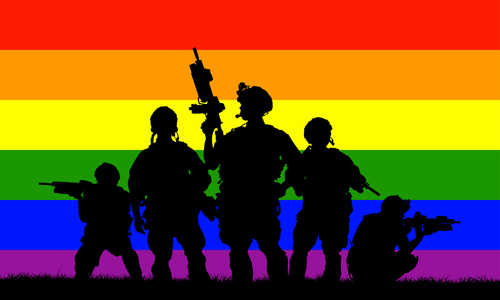 Lambda Legal and OutServe-SLDN filed the Seattle suit in August on behalf of nine transgender plaintiffs challenging Trump’s initial ban on transgender people in the military. Six of the plaintiffs were current service members and three were people who would like to enlist. Three groups and the state of Washington are also plaintiffs. The case is Karnoski v. Trump.